When getting report from reporting service through asmx web service, the proxy class needs to set some custom header to HttpResponse, work can be done, but unit-test it is not easy. Google result indicates that we can take advantage of HttpResponseBase and HttpResponseWrapper from System.Web and System.Web.Abstraction. 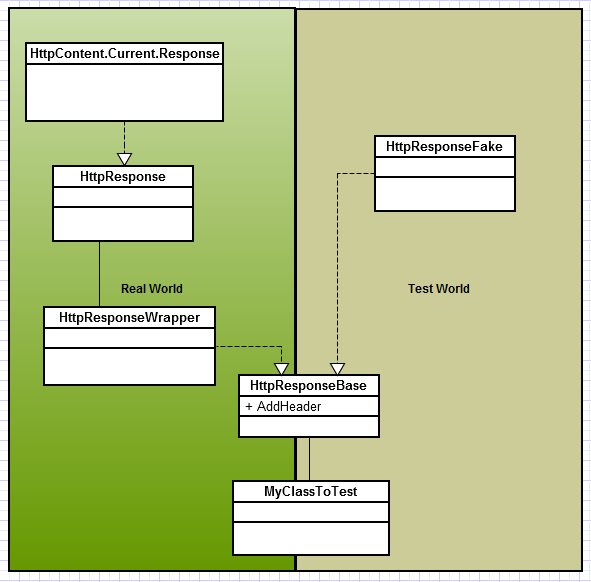 Instead of directly depending on HttpContext.Current.Response, we need to change the dependency to HttpResponseBase class, from which both HttpResponseWrapper (in production) and HttpResponseFake (in unit-test) are derived.